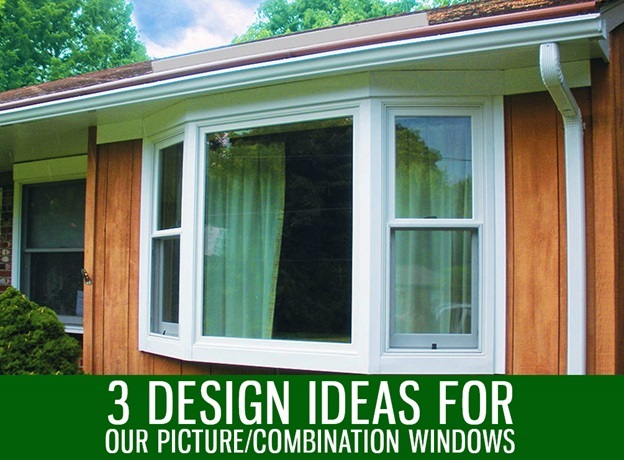 We can help update the look of your home by changing your window configurations. Renewal by Andersen® of Las Vegas uses custom-built replacement windows. Since we can use windows of any size, we can make the most of large window openings and place a combination of windows instead of one big unit. As an expert in window installation, we recommend going for a double-hung and picture window combination if you want to go for a classic style. A large picture window in the middle allows for uninterrupted views while the double-hungs can provide excellent ventilation. Their traditional appearance also acts as a focal point and makes your home look more interesting. In addition, you can add grilles to our picture window for a truly classic look. You can also pair our picture windows with casements. This option provides the best ventilation, energy efficiency, and views. Casements swing outward, leading to effective ventilation. You can also adjust the angle of our casement windows to direct the breeze more effectively. They are also the most energy-efficient window type because of their tight seal. Finally, our casement windows have sleek frames that lend themselves to fantastic views. As a specialist in bow windows and other window types, we understand the importance of specialty windows. Specialty windows can add a lot of character and appeal to your picture windows. For example, placing transoms on top of your picture window makes it more interesting. You can also use specialty windows to highlight certain architectural features. Half-circle windows on top of picture windows in a room with arches are dramatic. Our window experts can help you with a more personalized suggestion for your home. They can evaluate your home’s current style and recommend which of our window types and combinations work the best for your home. Renewal by Andersen of Las Vegas serves many areas including North Las Vegas, Boulder City, Henderson, and Green Valley. Call us at (702) 722-2052 to learn more about our picture window combinations. You can also schedule a free in-home consultation.